Planetary interiors are totally inaccessible to direct exploration and are characterized by conditions of pressure and temperature that are difficult to reproduce in the laboratory. At those conditions materials undergo important changes including dissociation, ionization, metallization, loss of magnetism, etc. Understanding such changes has wide ranging implications not only in planetary sciences and geophysics, but also in fundamental physics, chemistry, and materials science. For example, the pressure-induced transformation of graphite into diamond, first reproduced in the laboratory in 1955, is now an industrial process with a global market worth ~US$20 billions. In this context, atomistic simulations, in particular those based on density-functional theory, play an important role in extending our knowledge of the effects of pressure and temperature on materials well beyond the experimental limits. I will illustrate how atomistic simulations have contributed to our understanding of the interiors of giant planets and also how they have led to the discovery of a new, ultrahard form of solid carbon dioxide. Sandro Scandolo is the Head of Scientific Programmes and Outreach at the Abdus Salam International Centre for Theoretical Physics (ICTP) in Trieste, Italy. He is an expert on ab-initio and classical simulations of surfaces and nanoscale systems, as well as of solids at extreme conditions of pressure and temperature. He is one of the developers of the Quantum ESPRESSO software, an integrated suite of open-source computer codes for electronic-structure calculations and materials modeling at the nanoscale. He obtained his PhD in Physics from the Scuola Normale Superiore in Pisa, Italy. He was Professor of Condensed Matter Physics at the International School for Advanced Studies (SISSA) in Trieste, Italy, until 2002, and Visiting Research Staff at Princeton University between 2000 and 2002. He has served as chairperson of "Physics for Development" Commission of the International Union of Pure and Applied Physics (IUPAP) between 2014 and 2017. He was elected Fellow of the American Physical Society in 2016. S. Scandolo. 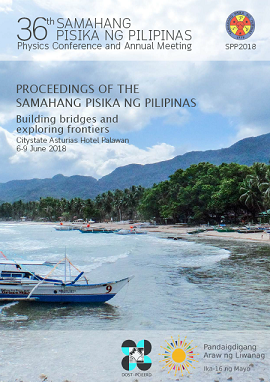 Where diamonds are made: A virtual journey to the centers of planets, Proceedings of the Samahang Pisika ng Pilipinas 36, SPP-2018-INV-2E-03 (2018). URL: https://paperview.spp-online.org/proceedings/article/view/SPP-2018-INV-2E-03.